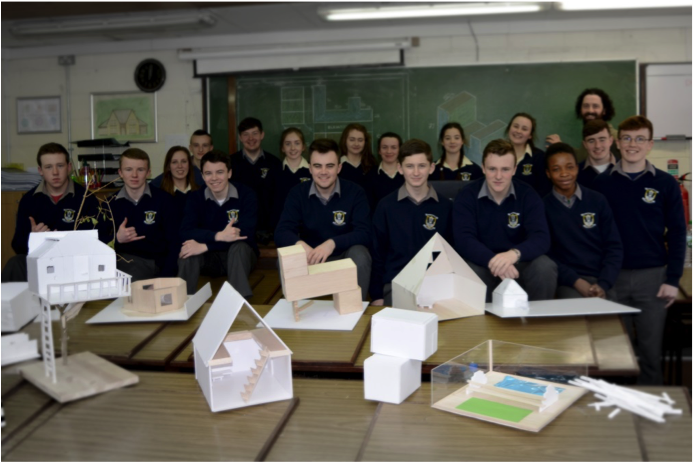 Ballyhaunis Community School: What we did! 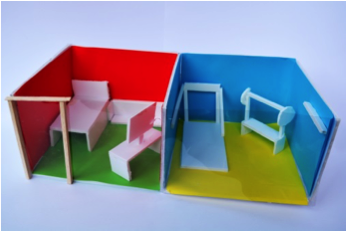 Each student designed a small building to reflect their own interests. 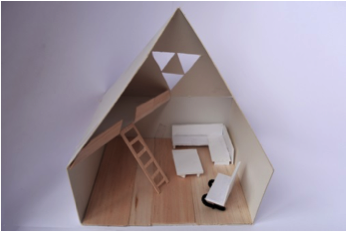 Design of buildings to express the personal tastes of each student. 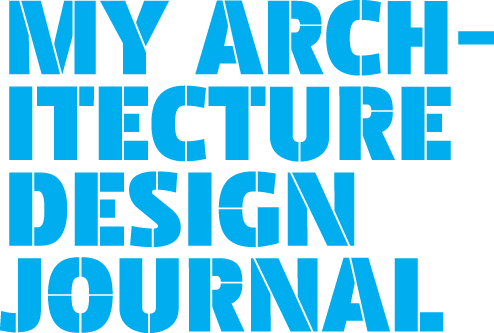 -Introduction to architecture as thoughtful building. 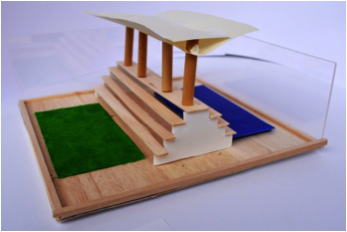 -Presentation and study of architectural buildings relevant to the students’ initial ideas. 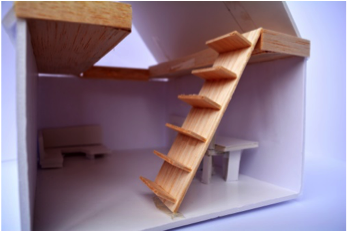 -Study and discussion of how an architectural idea can be represented in drawing and model form. Engineering, art, English, history, geography, physical education. 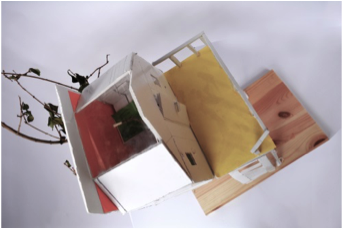 Independent thought, conceptual thought, visual communication, translation of ideas into physical proposals, drawing, model making. 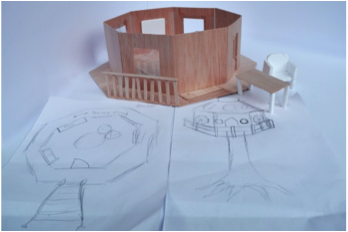 The students drew on their own individual interests to design small buildings for their own personal use. 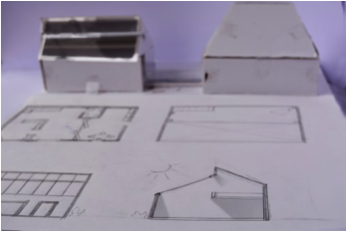 They were introduced to a variety of building types, historic and contemporary, before starting to sketch and make study models for their own projects. 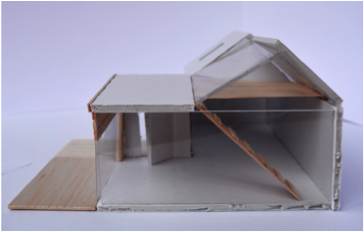 They undertook individual studies of well-known pieces of architecture as relevant to each project and worked towards presentation models and drawings. 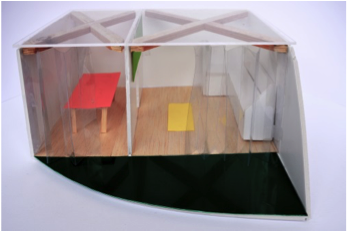 Mr McGarry provided perspex and timber cut to sizes to speed up the model making. The students were shown examples of historic building styles and why people chose to build as they did at different times in the past. We discussed what the students might do differently if they were the designer. 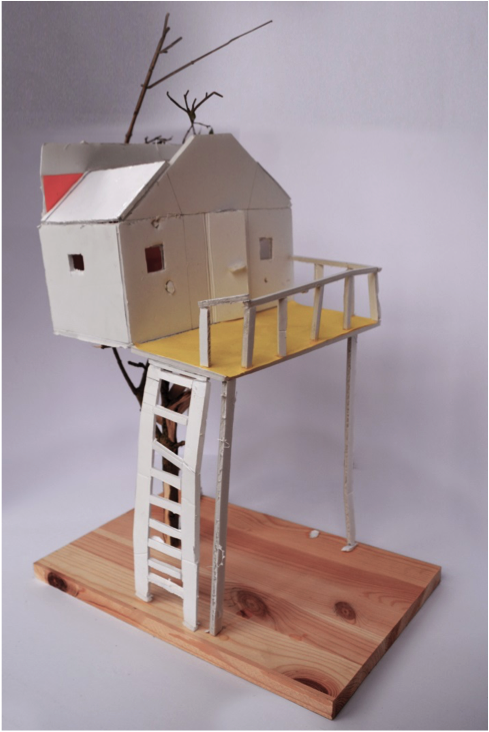 The students brainstormed for individual ideas for small buildings and discussed the possibilities for representing them in model and drawing format, before starting to explore ideas with study models. “Paddy taught me how different buildings can be”. 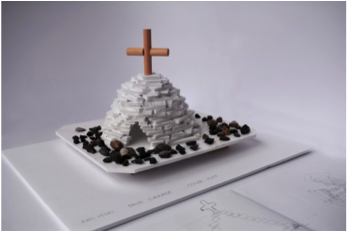 The aim was to formulate and explore original ideas about design. 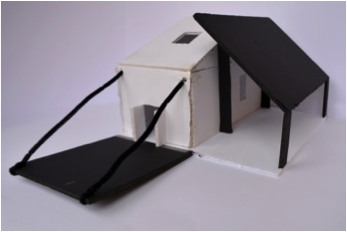 Each student designed a small building . 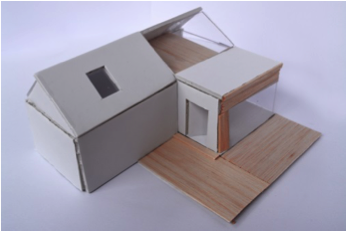 We aimed to produce a presentation model and drawings of each design.